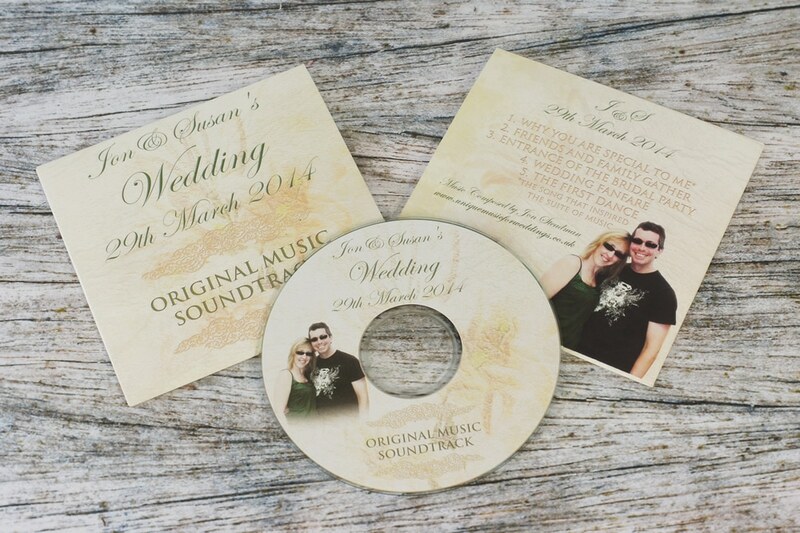 In recent years we have seen a large demand for CDs and DVDs for weddings to use as initial invitations, favours at the wedding or for use after the wedding with a selection of wedding photos or videos on for example. 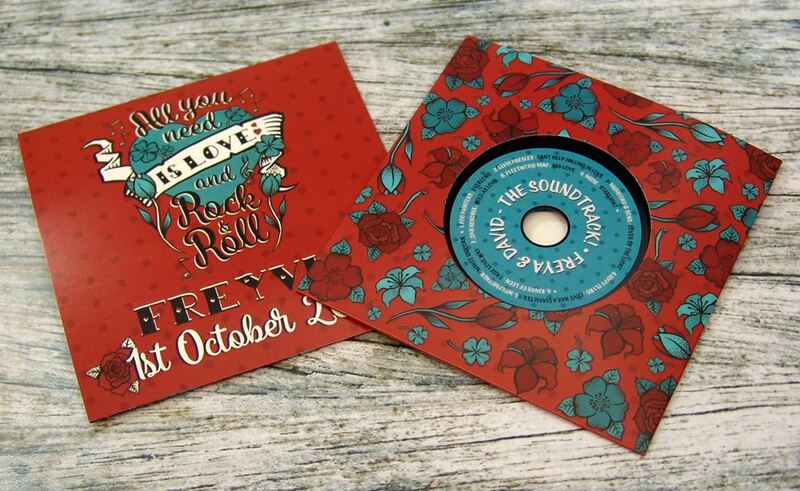 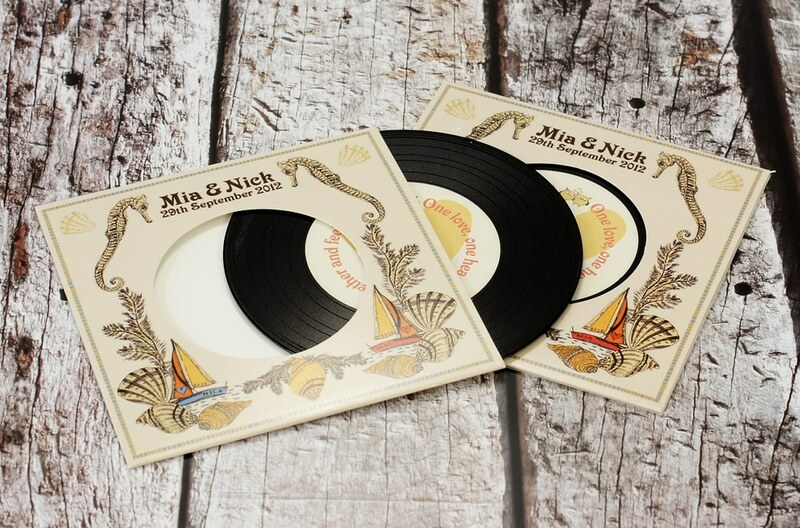 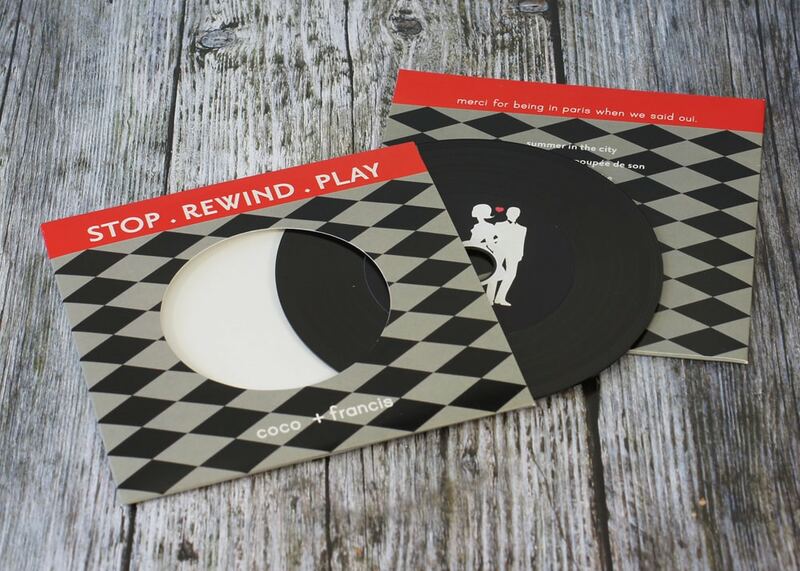 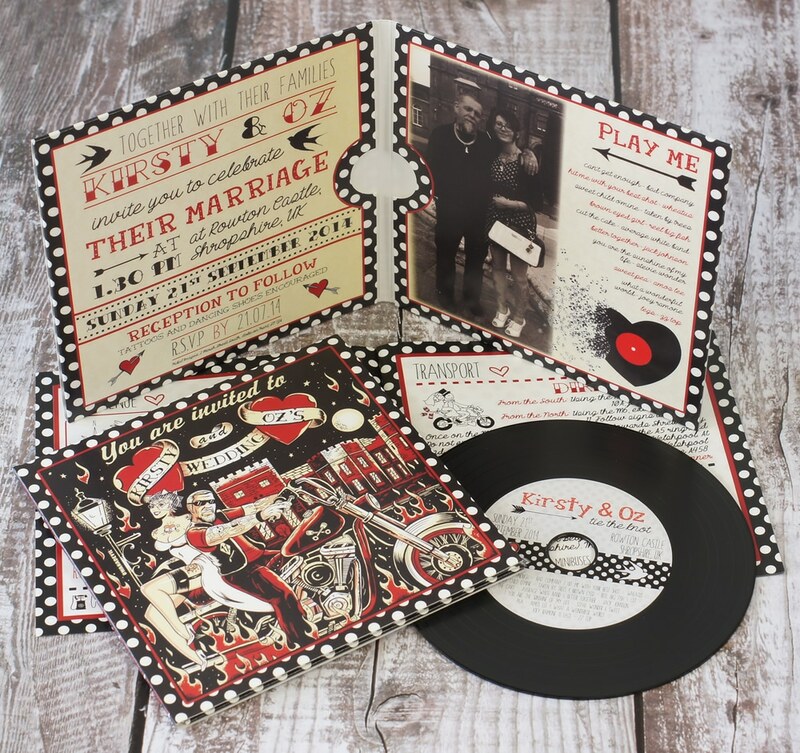 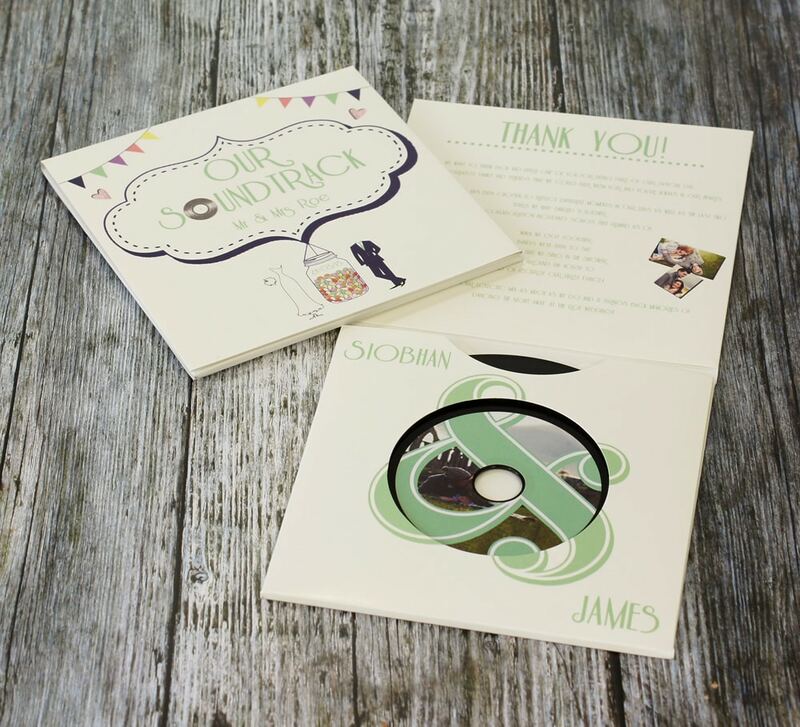 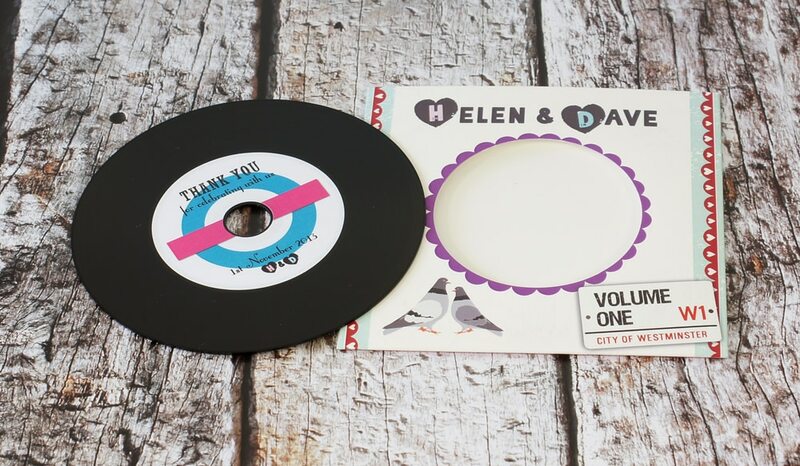 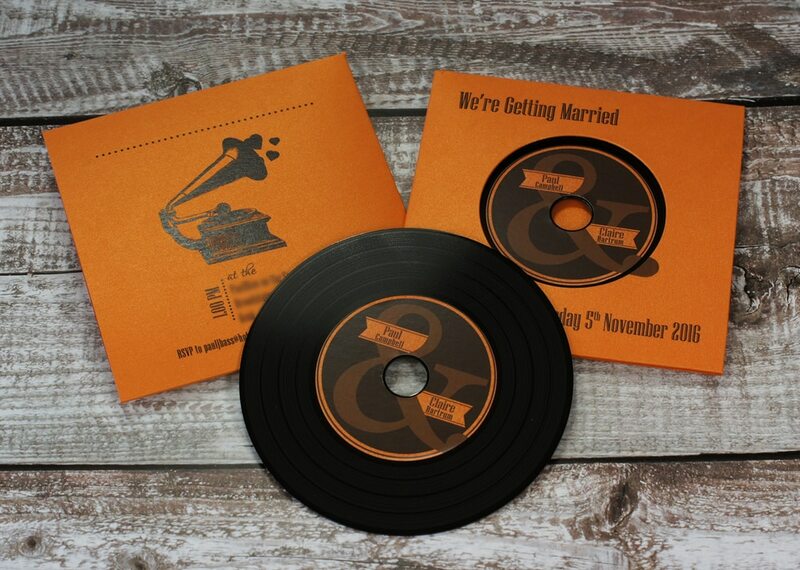 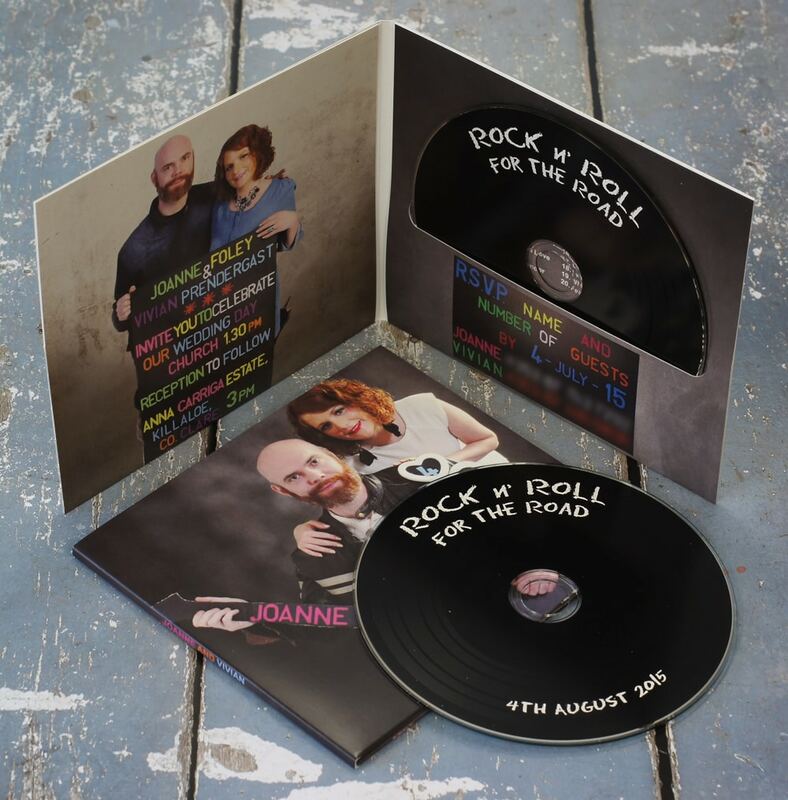 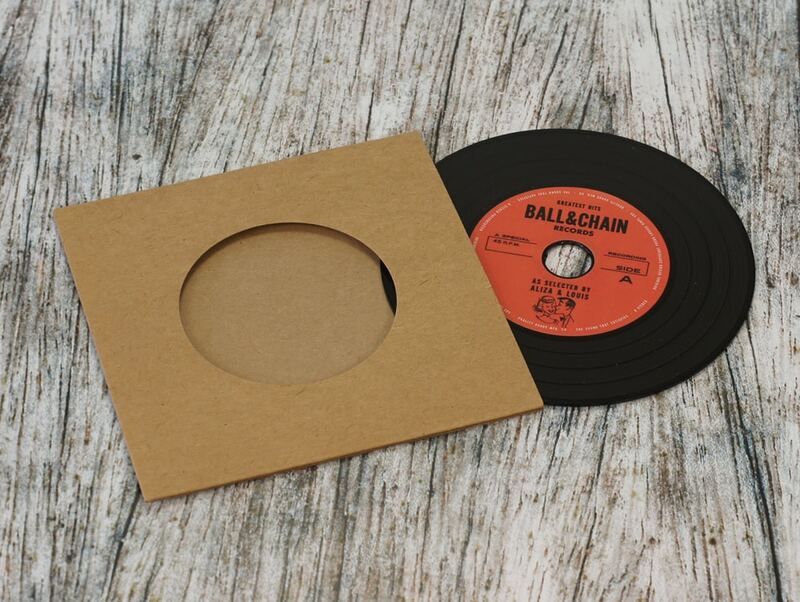 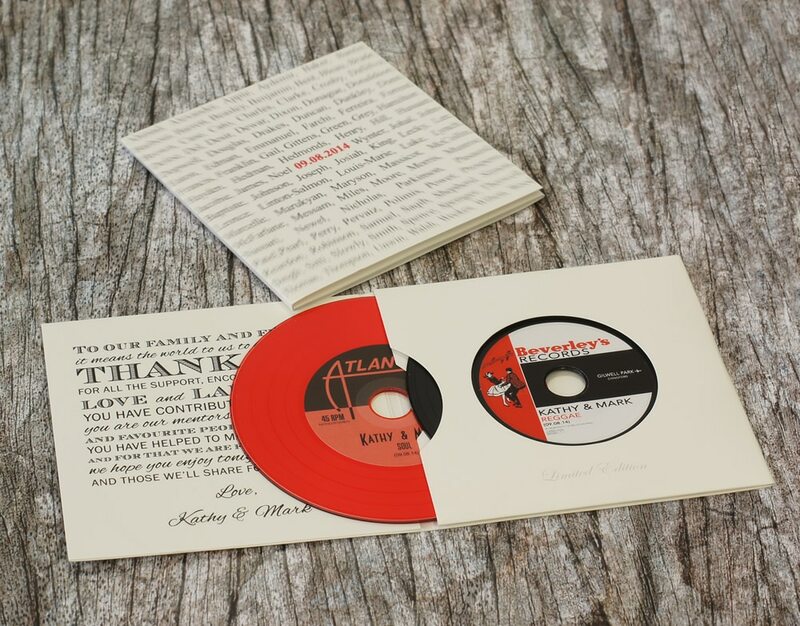 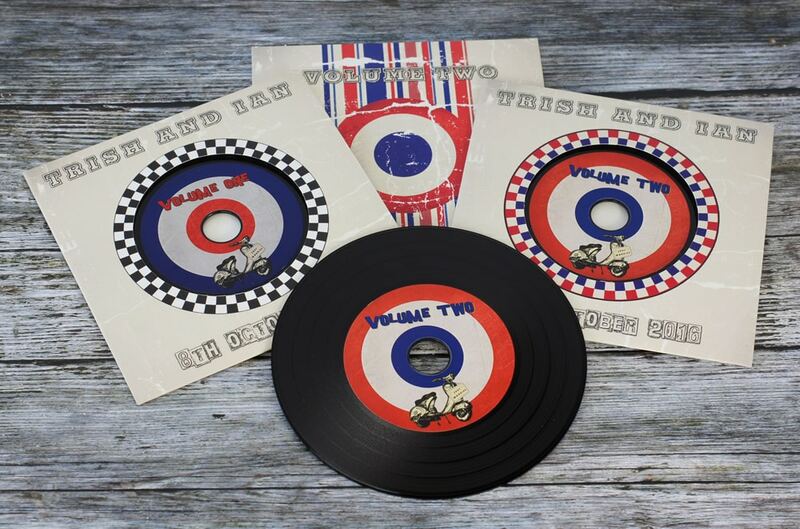 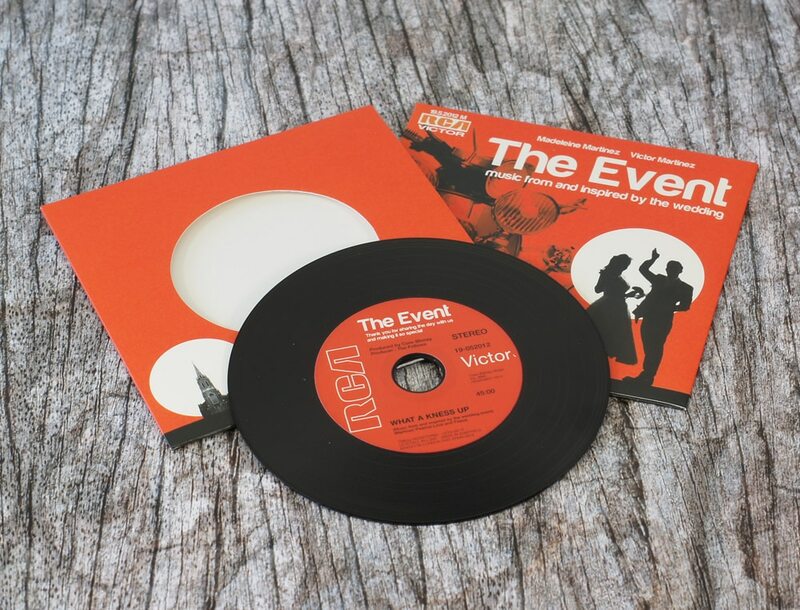 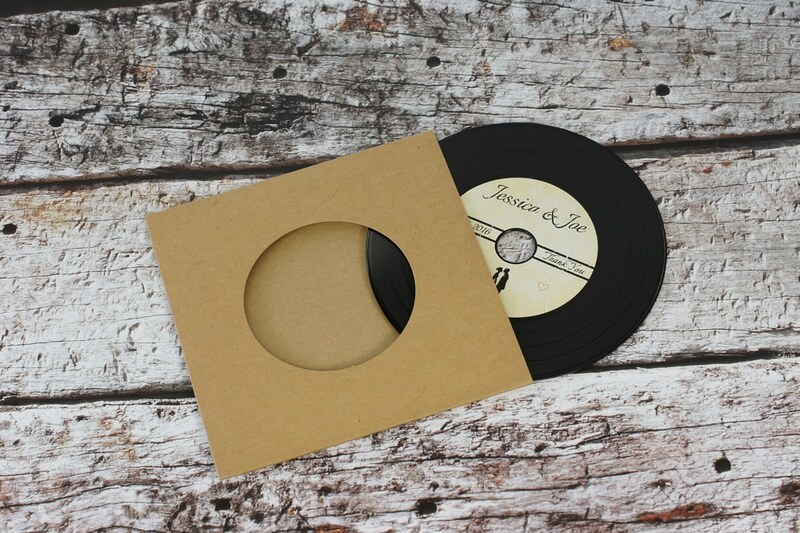 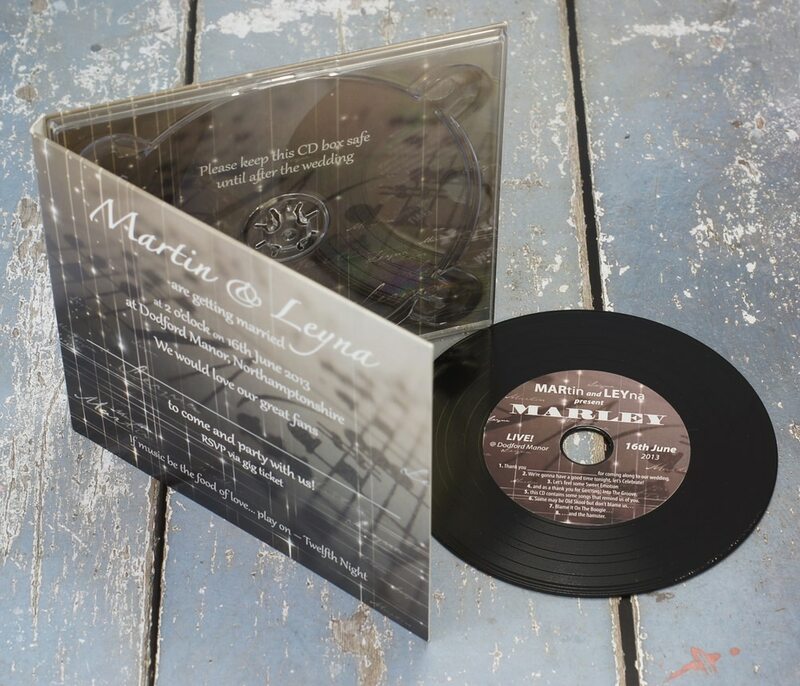 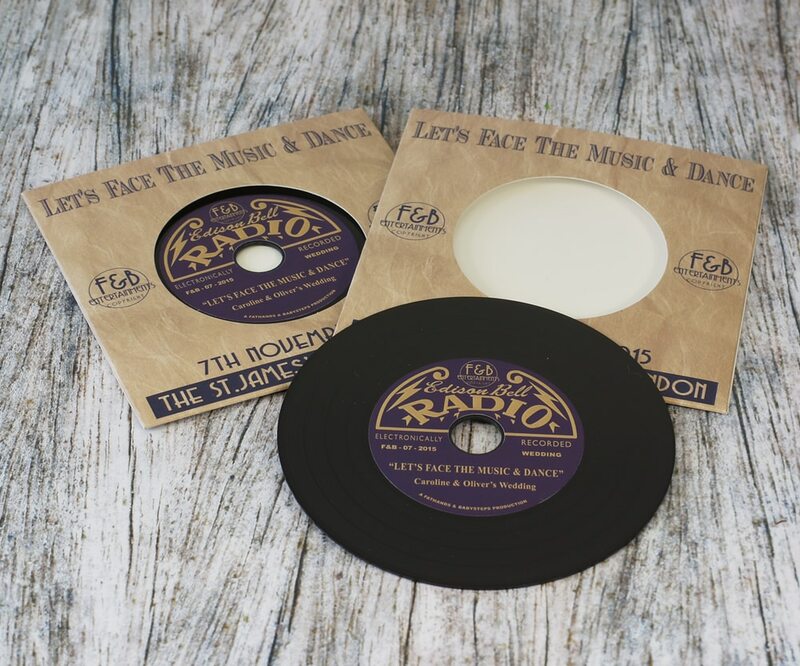 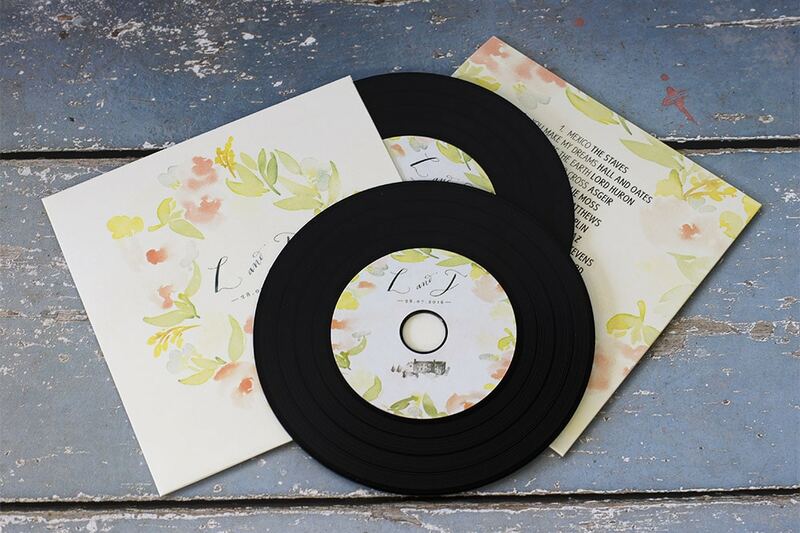 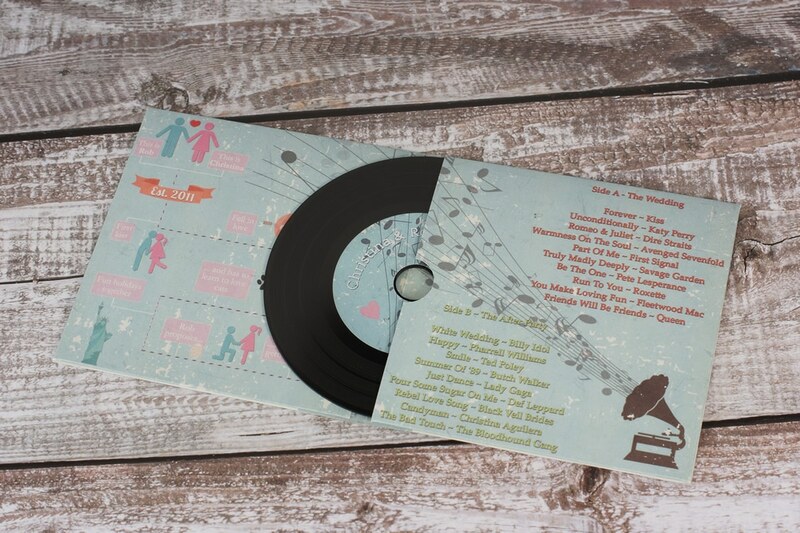 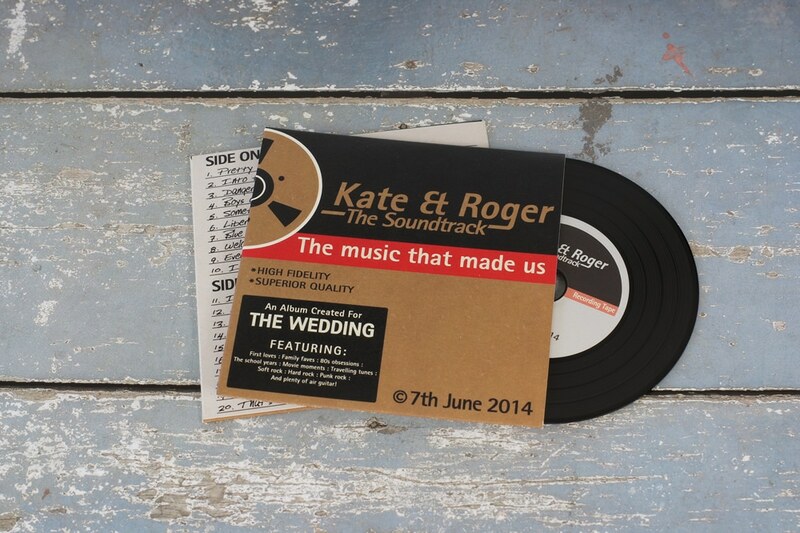 Our retro vinyl-style CDs that look like mini records are the most popular type of wedding CDs that we produce, particularly in the record-style card wallets with a hole in the front to show the central disc artwork. 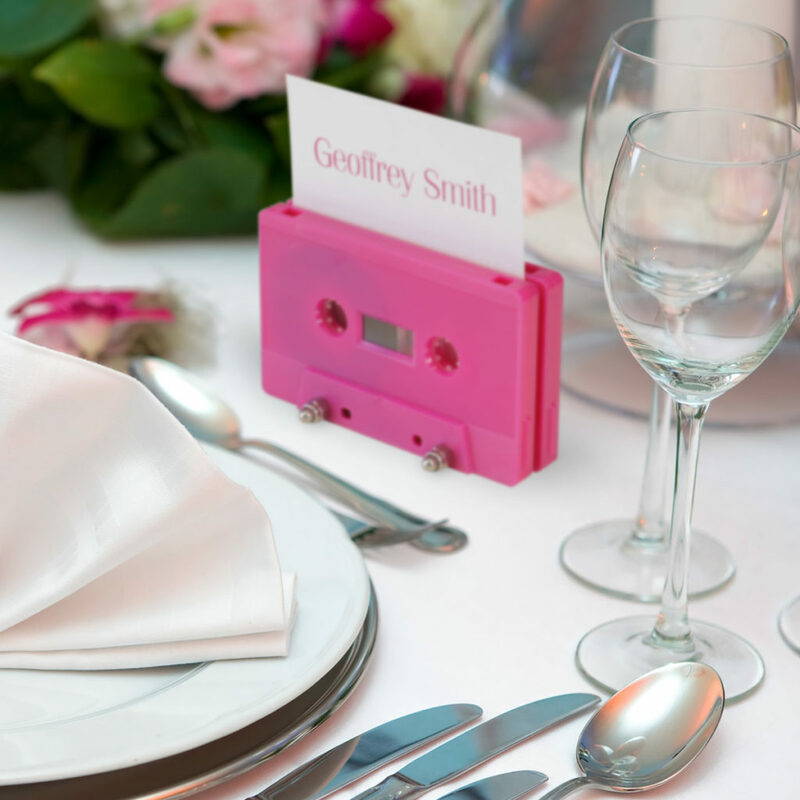 The wallets are available in a range of plain colours and also with your own printing on both the front and back of the wallets. 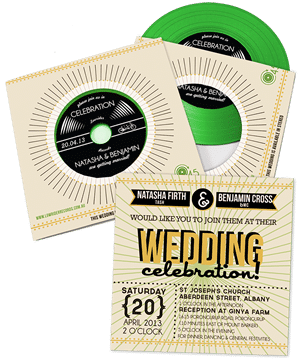 The record-style CDs have raised ridges and grooves just like real record and are available with the record-style effect in a wide range of colours including black, gold, silver, white, green and orange. 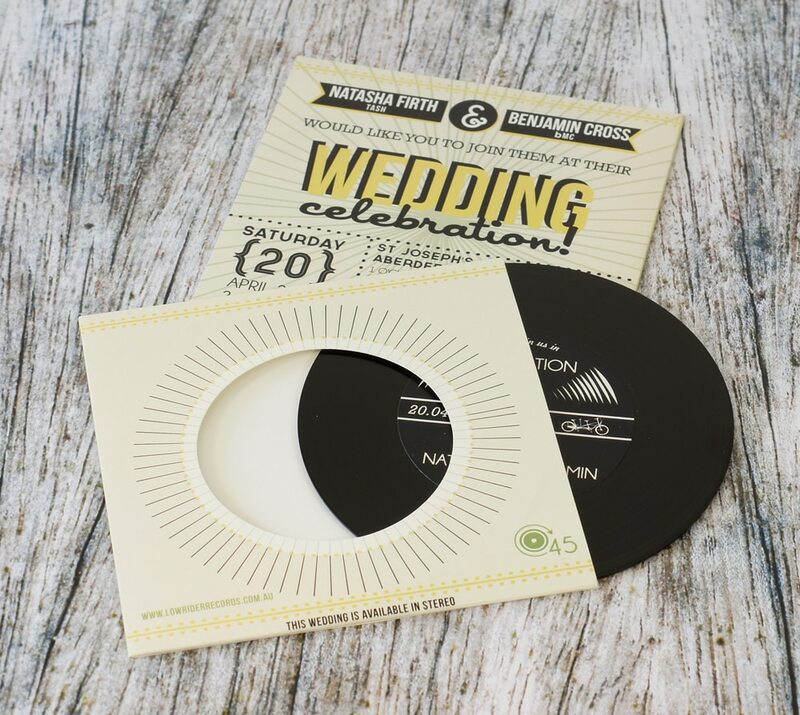 In addition to the record-style wallets, the other popular packaging options for weddings are 4 page printed card CD wallets that offer a greater printed area than the single wallets and they can also be provided with a pocket in the left hand inner panel for cards or a booklet to be inserted in with travel directions or accommodation options for example. 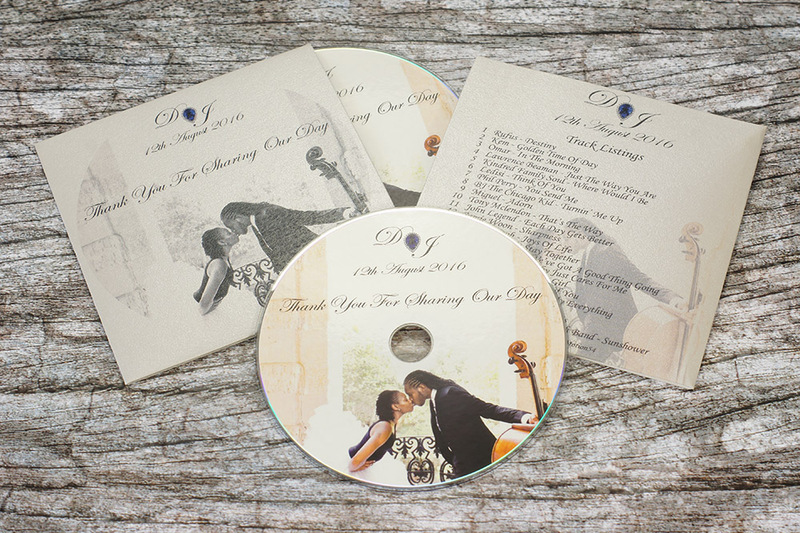 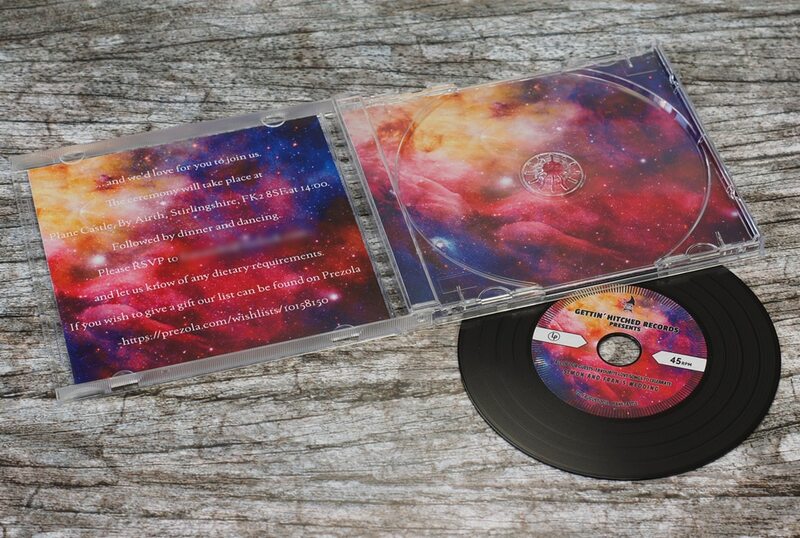 The 4 page printed card digipaks offer a similar printed area to the 4 page wallets above, but the disc is inserted into a clear disc tray that is glued to the inner right panel, rather than tucked into a card pocket. 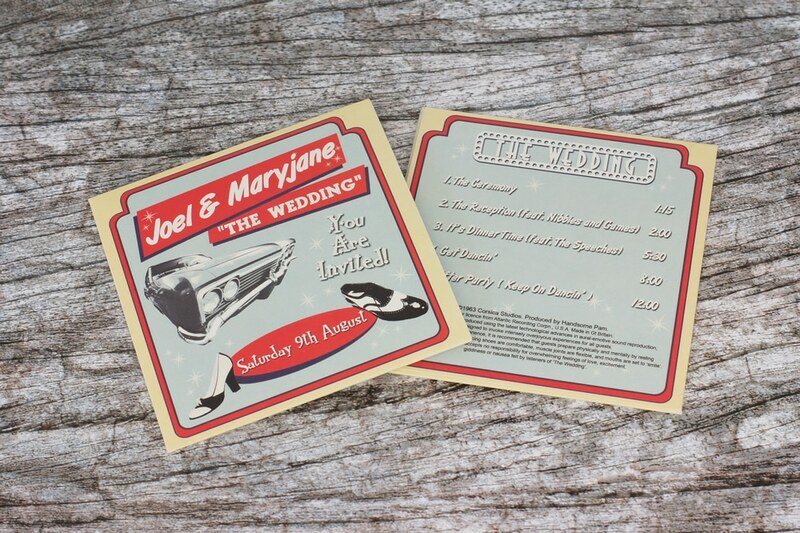 This does make them more rigid and substantial to the touch than the wallets and the digipaks can also be supplied with a pocket in the inner left panel for inserting further information if you wish. 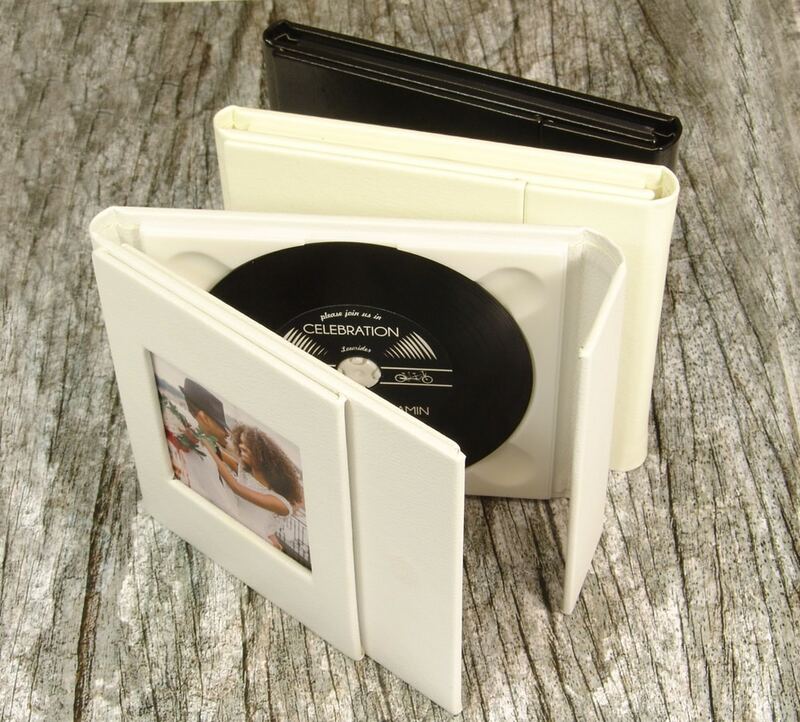 As a more cost-effective option and with similar pricing to the record-style discs in plain record-style wallets, we can provide either standard CDs or record-style discs within a clear plastic wallet, either with or without a thick printed card full colour insert with further information or photos added. 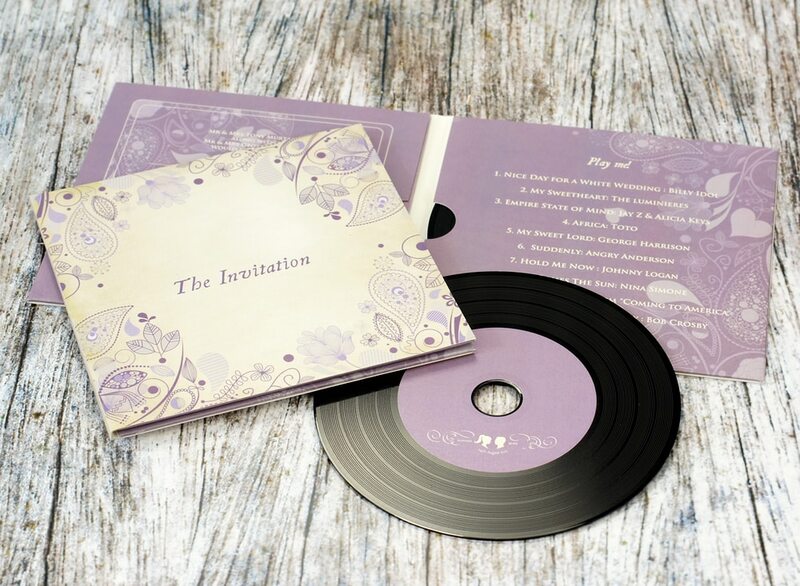 For pricing and further information, please click here. 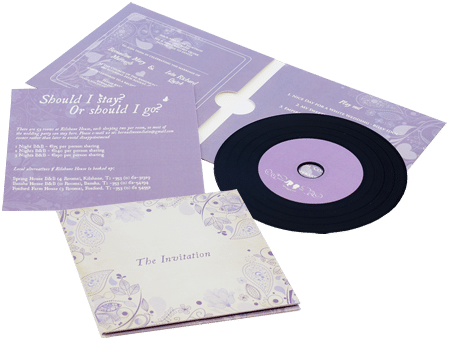 We also have a multitude of other packaging options that are available to view on our home page or from the navigation bar at the top of the page. 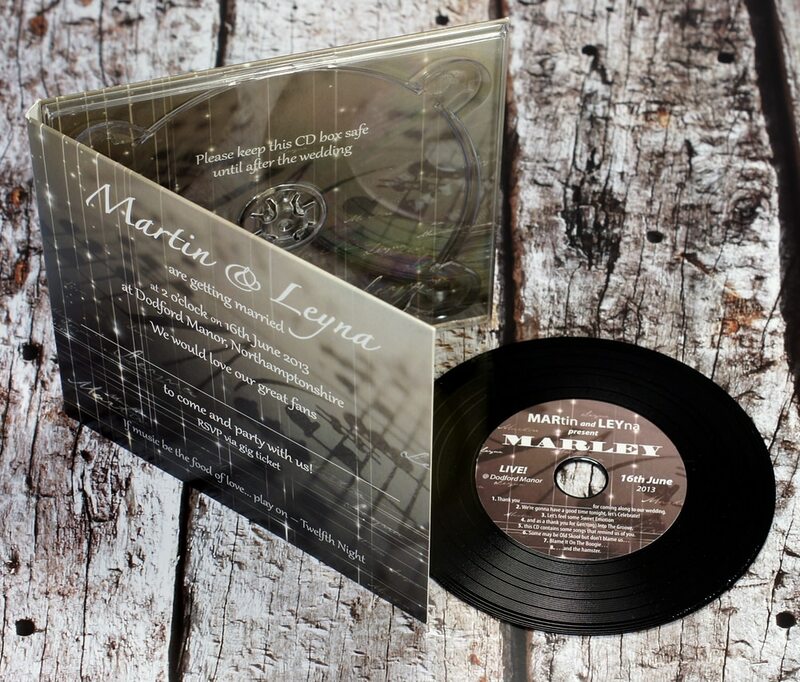 We provide prices and artwork templates on each of the detail pages for the relevant packaging options. 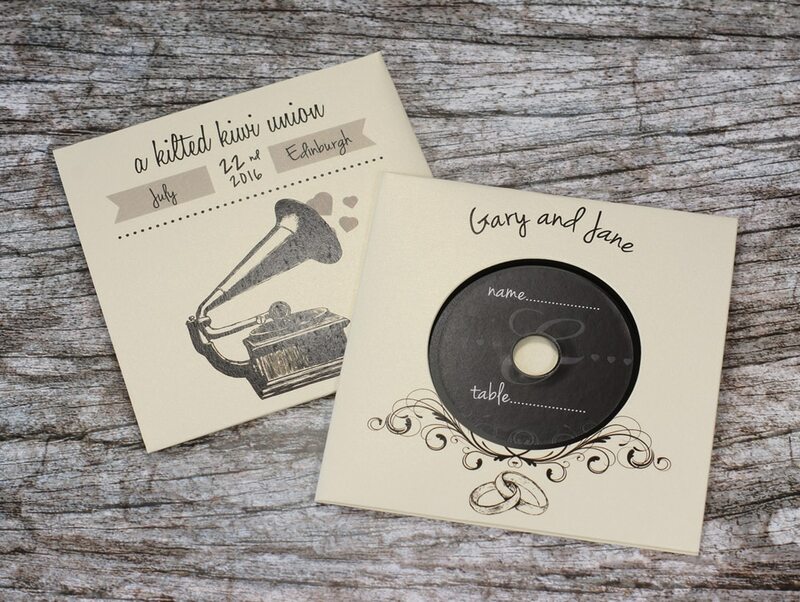 We can produce each of our packaging options in a rougher texture recycled card stock if you prefer and our plain record-style card wallets are also available in a thick brown Manila card that has proved particularly popular as you can always write personal notes, place names or hand-stamps to the plain wallets to customise them yourself. 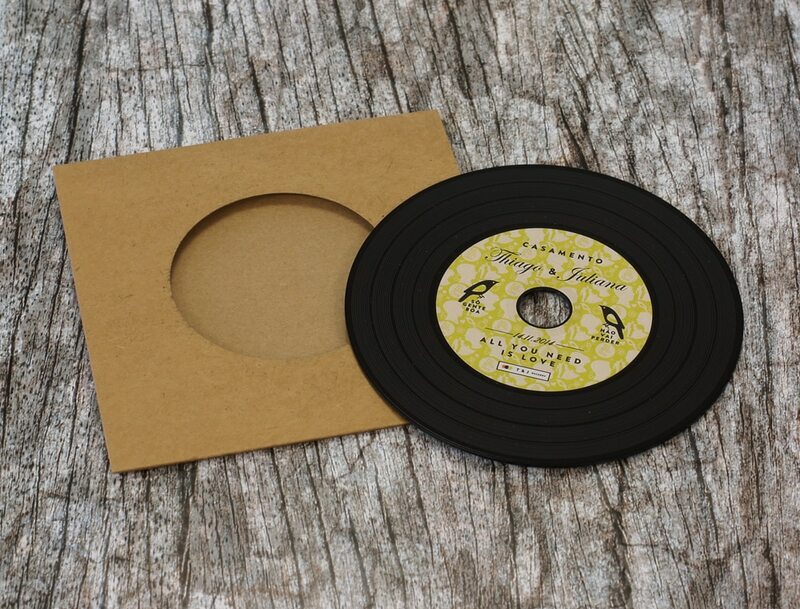 No problem at all. 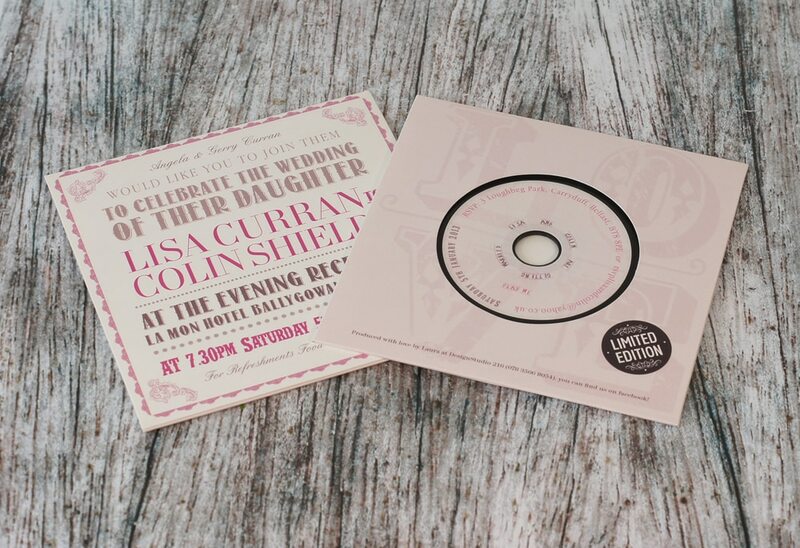 We can create the artwork for you if you like, either fitting in with existing items for the wedding, or producing a unique stand-out style. 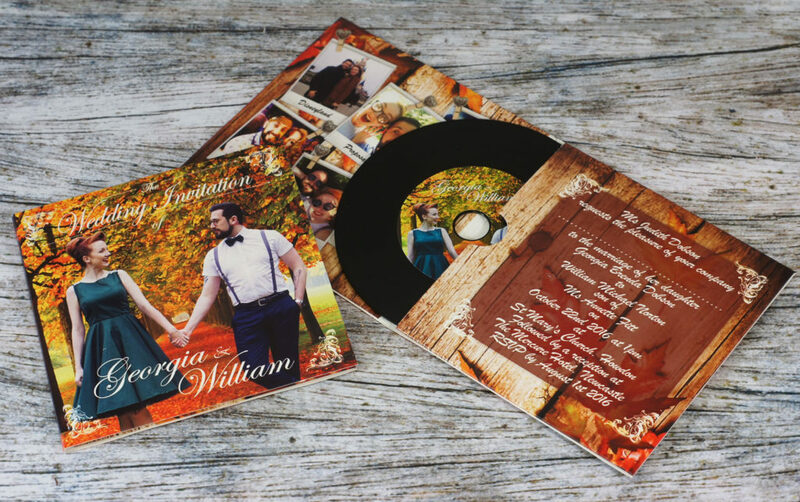 You just provide us with the text and any images that you would like us to use along with any specific requests for fonts, colours and layout and we will do the rest and produce an initial design that will then be revised accordingly until you are completely happy with it. 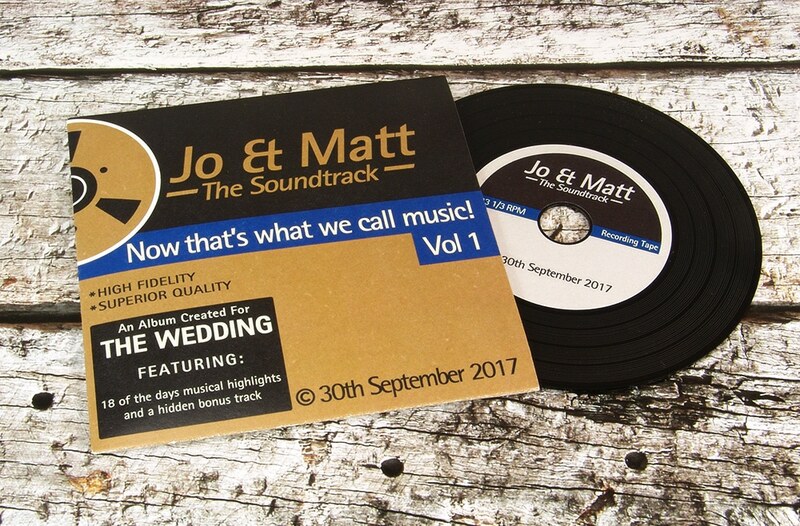 We typically charge £35+VAT for the disc artwork and £35-70+VAT for the wallet or packaging artwork depending on complexity. 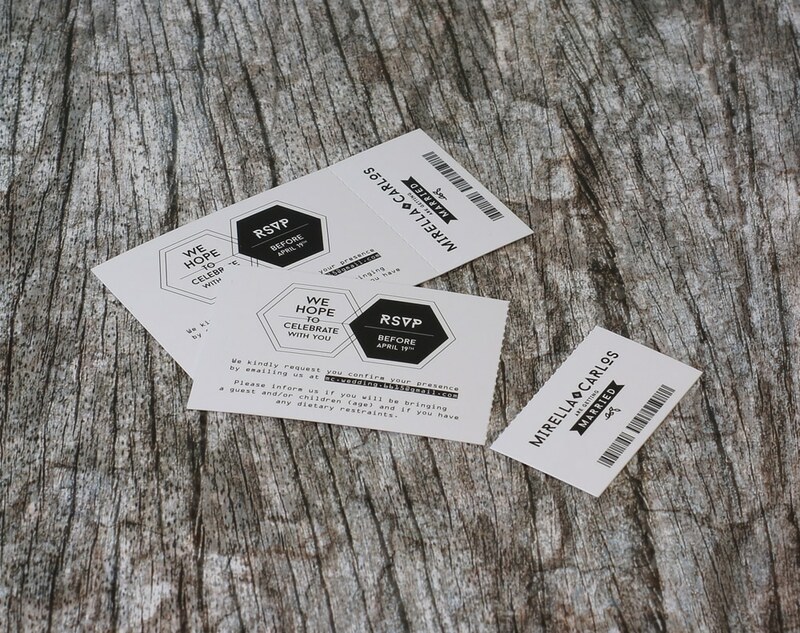 We also have a corporate subscription to the Shutterstock library of royalty-free images, so can use any of these photos or illustrations in your artwork free of charge. 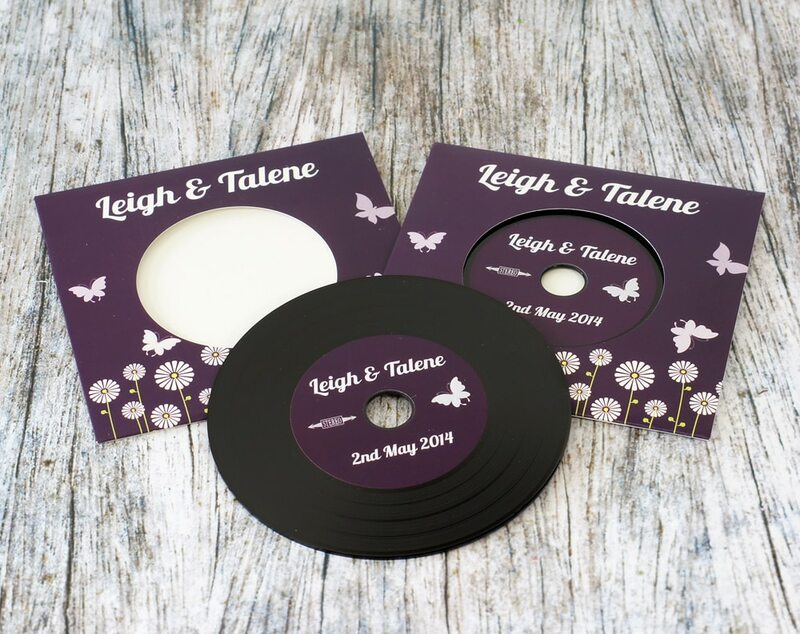 There are often many questions that customers may have about the packaging options for the wedding discs or in producing the artwork that are not answered above, in which case please do not hesitate to pick up the phone or email us and we will try to help. 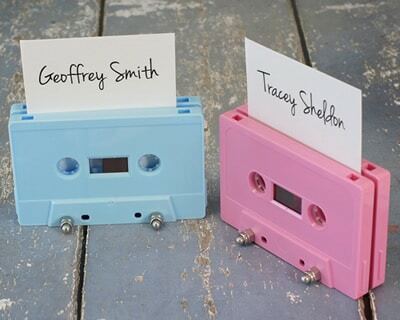 Our contact details can be found here.